Today is the first in a series of mini reviews that I’m putting together for various must-have Arabic resources. I’ve had the chance recently to use and comb through different books and tools – some of which have been incredibly useful to me while working with TalkInArabic.com – so I figured it would be a good idea to share with you why I’ve found them so helpful in my own learning. I’ve shared some of these briefly before (here and here). What amazes me is that even over the last 2 years, there’s been a steady increase in the amount of books for spoken Arabic (rather than just MSA) hitting the market. It’s a good sign that more people are taking spoken Arabic seriously. So today I want to share one simple resource with you that’s been around now for quite some time (~6 years in fact) called Diwan Baladna. It’s actually the second book in a two part series (the first part being a book on Arab Culture which I admittedly have not read yet). Diwan Baladna is for the Levantine dialect (specifically Jordanian) and since I’ve been spending more time focused on this variety lately rather than Egyptian, it’s become a vital reference tool for me. 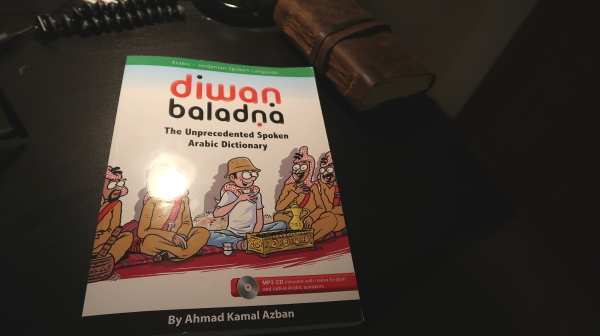 Diwan Baladna describes itself as ‘The Unprecedented Spoken Arabic Dictionary’. Unprecedented indeed but I feel that the word ‘dictionary’ for some people may be off-putting. I admit I didn’t see a whole lot of value in obtaining yet another lexicon for my shelf and for that reason I held off purchasing this book for a long time. But what I’ve learned is that Diwan Baladna is a comprehensive reference tool that now I can’t live without as a learner of Levantine Arabic. It’s one of the most useful resources I own. 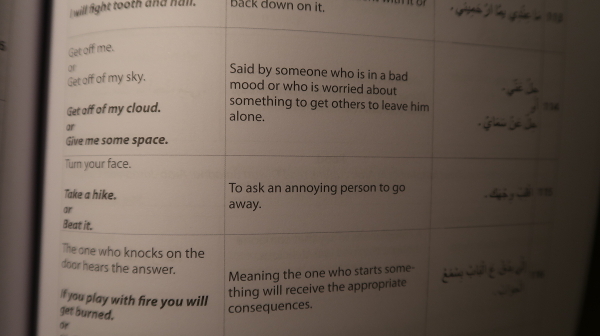 This section is comprised of expressions and phrases used in Jordan in both traditional and very slang settings. So you’ll find a lot of expressions that are heard across dialects particularly in the traditional section but then the majority are local. 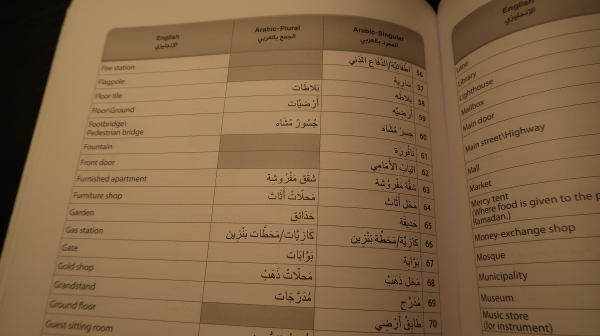 The book doesn’t really give any specifics on which expressions are only heard in Jordan however (i.e. not heard in other parts of the Levant like Lebanon and Syria). Keep in mind also that like most places, Jordanian Arabic contains sub-varieties which may mean that an expression in one part of the country is uncommon or not used in other regions. The books does mention this but individual differences are not highlighted throughout the text. This section also lists all the common greetings in Jordan including their responses of which there are many (unbelievably useful for anyone starting out with this dialect!) as well as an impressive list of slang ways to describe people (both positive and negative). Much like ‘Arabi Liblib for Egyptian (though a little less vulgar! ), there are some hilarious slang terms and expressions here that you won’t find anywhere else. If high level fluency is your goal then you’ll find this invaluable. The vocabulary section in the second part of the book is divided up by topic and it’s surprisingly comprehensive. Literally every word on almost every topic you can possibly think of can be found here. And the lists are useful to learners of every level – you’ll find vocabulary for basic numbers, family members, animals, etc. as well as vocabulary for politics, economics and medical terminology. It really is the most exhaustive thematic list of words for any spoken dialect that I’ve come across. There seems to be a little bit of inconsistency in the way the columns are laid out in the book. The author states clearly in the book that transliteration is intentionally left out (it’s frankly lazy to use anyway so no biggie) but I did notice that in at least one topical section there was a column for transliteration. I’m not sure if this is a mistake. But the great thing about the book is that they’ve used diacritics on the Arabic text to assist new learners with being able to pronounce what’s written. This combined with the accompanying audio files take all the guesswork out of pronunciation. For the most part, nouns are neatly laid out separating singular and plural forms, and in some cases, feminine and masculine. Verbs however are not conjugated (only the root is given). The accompanying audio really is what makes this book as valuable as it is in my opinion. Every single word and expression found in Diwan Baladna can be listened to on the MP3 audio CD that the book comes with. Each page of the book is recorded as a new MP3 file. The English word is read out by what sounds like a native speaker, then the Arabic speaker provides the Arabic translation. But it all sounds very rushed as if they’re racing to get to the end of it. 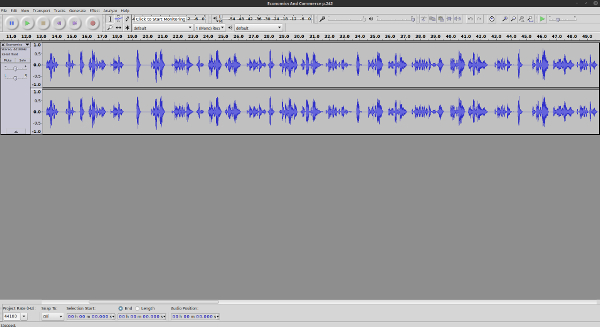 The recording would have been a lot better and more useful for brand new learners if they took their time and put some pauses between words (or made them individual files). The English word is read out and then the Arabic speaker reads the number (in English) before translating into Arabic. I don’t get why they did this and if the number is necessary, why not get the English speaker to say it so the translation immediately follows the word (like they do in Glossika)? So how can you tidy these files up to make them more useful? Well a little bit of basic audio editing goes a long way here and will enable you to quick-reference the audio files you need, add them to a mobile listening device or use them in a flashcard program. 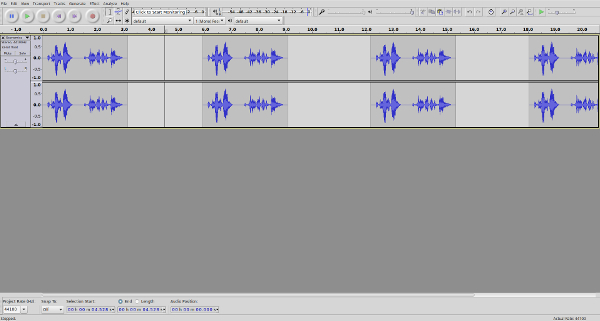 I use Audacity for this which is free and simple to use but there are other options you could use. 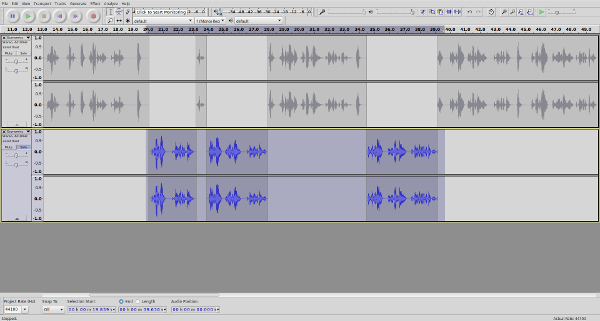 From here, you can create the kind of audio files you need. Either export each selected part as its own audio file (great for flashcard software), or create repetitive listening tracks that loop so you can improve your listening comprehension skills. 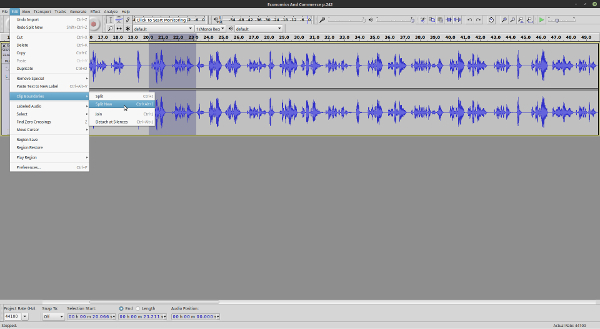 This might take 15 minutes of your time to cut out the words you want but in the end, you’ll have a far more useful collection of audio files to reference alongside the book. It really is the most exhaustive list of expressions and vocab for Levantine available in any book I’ve come across. Whether you’re using it as a study supplement or just living in Jordan, it’s an invaluable tool to have lying around for quick reference. Just before having a conversation with a Levantine speaker, find the relevant topic in the book, spend 5 minutes poring over the items and listening to the audio and then get out and use it right away in conversation to help solidify it in your memory. I can’t overstate the usefulness of Diwan Baladna for any serious learner of Levantine Arabic. Used it before? What are your thoughts? Comment below! I’ve been waiting about 10 years for a Levantine Arabic ‘dictionary’ of some sort. I have one on paper that I made for my own use, out of all the words I’ve learnt! It’s good to know this book exists. I’d prefer Lebanese to Jordanian. And wouldn’t it be great if it was available online? Thanks for stopping by, Ahmad. Diwan Baladna’s a treasure. Thanks for creating it.